Retractable Awnings – Accent Awnings, Inc.
Start saving on energy costs today! For beauty, comfort and energy-efficient sun control, European-style retractable awnings are the answer. Whether it’s a patio that faces south, a picture window with a beautiful view that faces west, or a sunroom that gets sunlight the entire day, all that light and sunshine could be a source of difficulty in controlling the temperature and enjoyment of these areas. With a retractable awning that opens and closes, you can control the climate of these problem areas and enhance the beauty of your home as well. 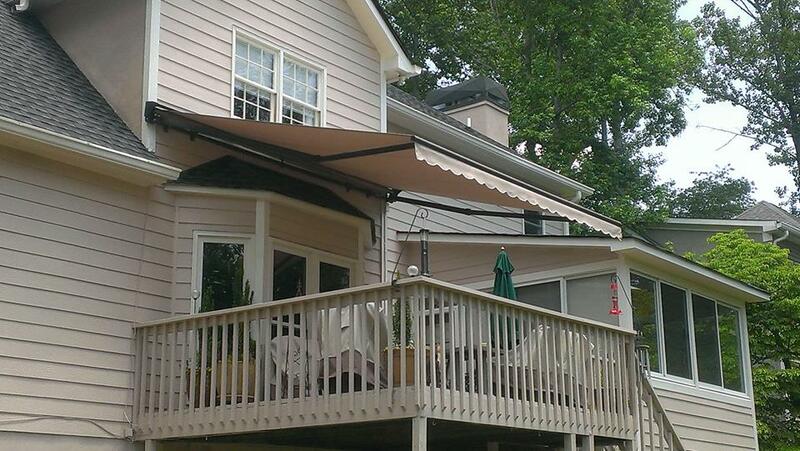 Retractable awnings offer the options of creating shade or allowing sunlight when you want it. Available for windows, patios, lattic covers and sunrooms, retractable awnings can bring the enjoyment back to these problem areas in a beautiful, energy-efficient fashion. 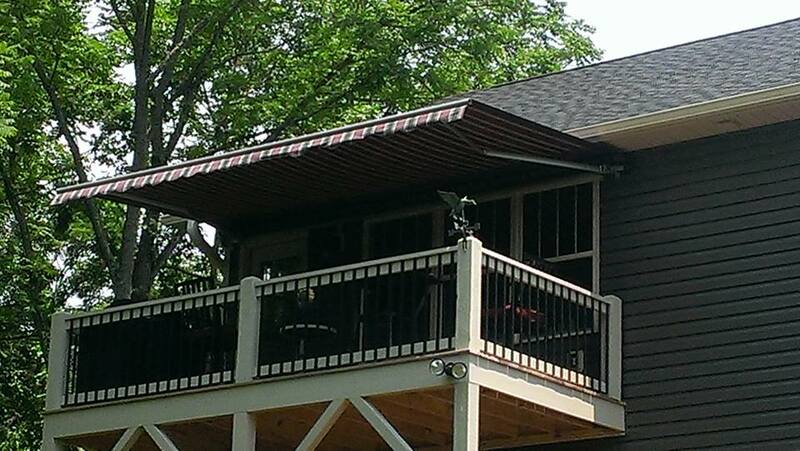 Expand your outdoor living space and more by installing a retractable awning. Create a comfortable outdoor environment everyone can enjoy by staying cool and being protected from the sun’s harmful rays. Reduce sunlight and glare through your windows while reducing heat gain by as much as 77 percent*. The unique features of a retractable awning can help reduce air conditioning costs substantially by blocking the sun and providing shade, while in cold weather, allowing the warmth of the sun in and keeping heating costs down. In addition, bright sun, which can fade your furnishings, is no longer a problem when the right retractable awning is used. 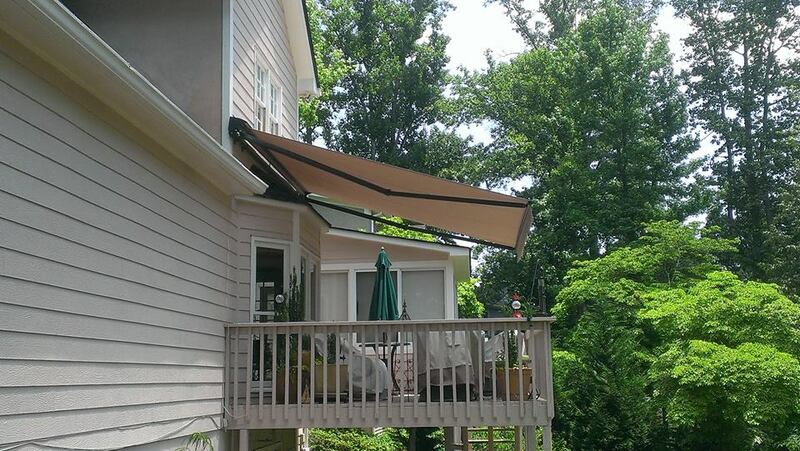 For ease of use, these awnings are offered motorized or with a manual crank. Retractable patio awnings are available in projections of 5’3″ to 13′ and in widths of 6’6″ and 40″ and beyond. The retractable window awning is available in projections of 1’6″ to 4′ and in widths of 3′ to 15′. Retractable, roll up, vertical systems and skylight/solarium awnings designed to follow the curve of a sunroom are also available. As with any movable piece of equipment, durability and trouble-free performance are important concerns. Quality retractable awnings should be made from top quality aluminum; castings and extrusions and be available with a good warranty. The hardware is offered in anodized aluminum, white or dark bronze finishes. 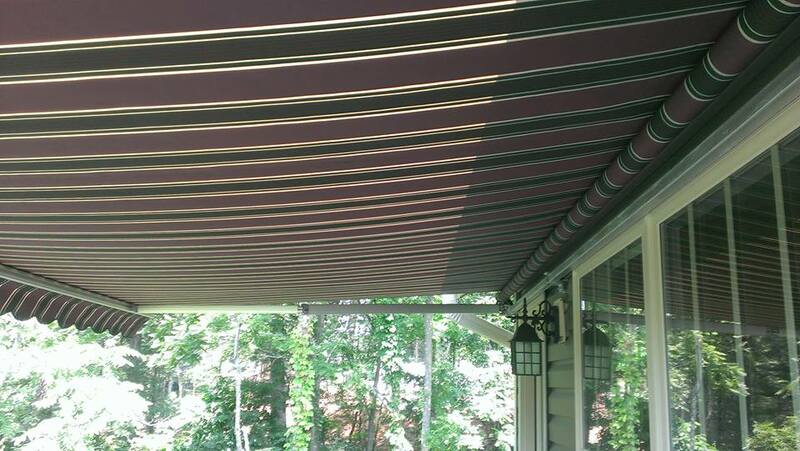 As reliable and adaptable as these exterior retractable awnings are, their look only adds to their appeal. 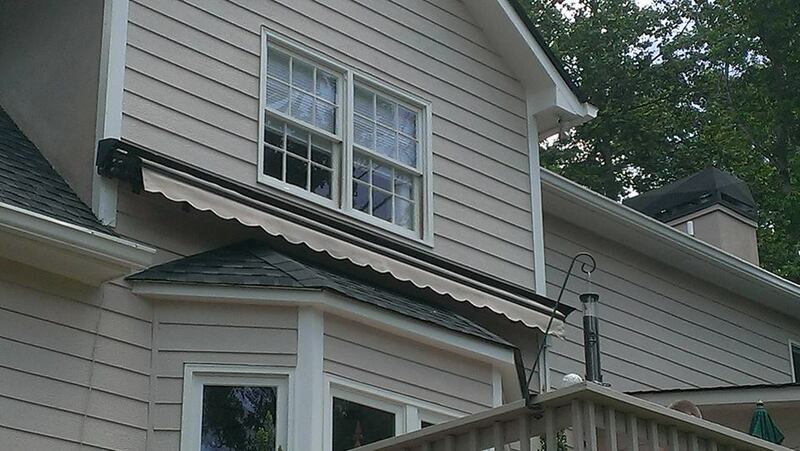 Designer fabrics for these awnings are either made of 100% acrylic or high tech see-through fiberglass fabric. These fabrics are available in hundreds of colors and patterns. 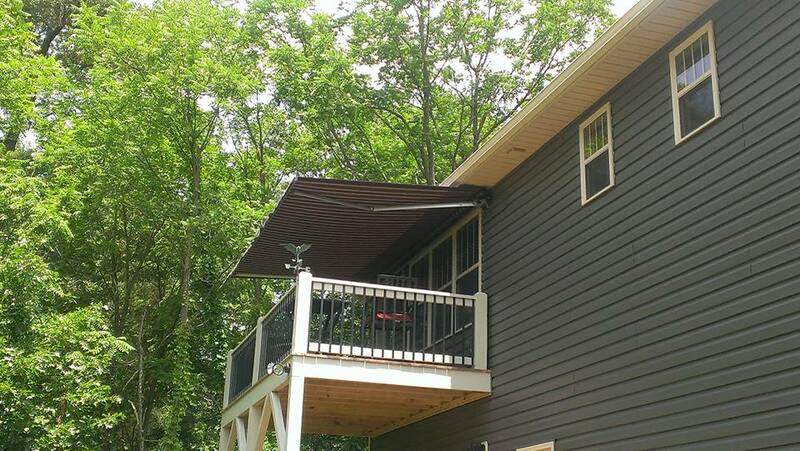 With all the features available, a retractable awning can combine the ease of climate control with the beauty of a well-design accessory.